Synopsis: If he can save her from her past, she could be his future. I picked this up as an ARC because I'm a huge fan of this genre, but Ganiere was a new-to-me author. Plus the cover is pretty cool, am I right? 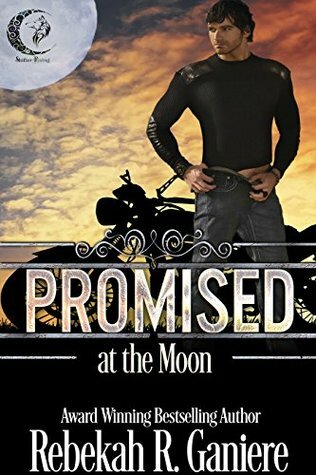 I really enjoyed Promised at the Moon. The characters were very sweet; especially Liam. After initially being a bit gruff and standoffish, he was ultimately really protective and gentle with Natasha - it was adorable! He has an interesting story to tell as to why he's a lone wolf, and both that and Natasha's ongoing storyline kept me interested and enjoying the read. As I said, the romance was sweet and I think that was my favourite part. 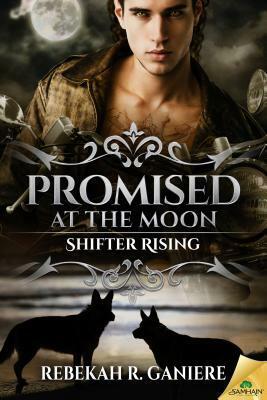 As PNRs go this was a lighter version without so much of the dark and gritty violence that can often accompany them, so if you're in the mood to read a feel-good PNR, this one would be ideal. 4 Stars ★★★★ A copy of this book was provided by the publisher in exchange for an honest review.